Fender® locking tuners let you lock your strings at the tuning machines for maximum tuning stability. 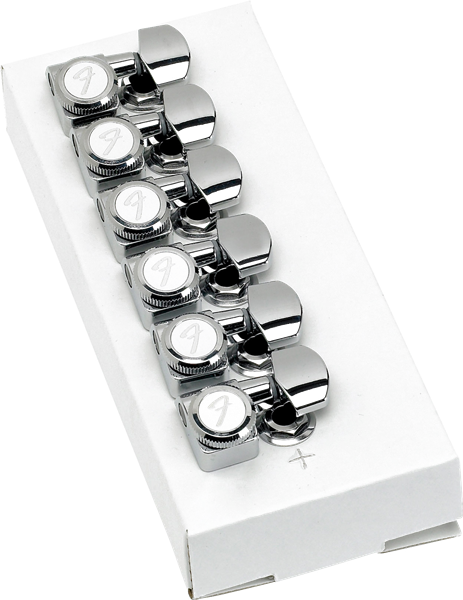 Each package contains six die-cast tuners with removable tuner caps and bushings. Used on American Deluxe Series (USA) instruments. Can be retro-fitted to most US and Mexico made Stratocaster® and Telecaster® models. Will not fit American Vintage Series (US).